New Illamasqua Polishes are up today! Sorry for the lack of a swatch right this moment, but I had to tell you in case you haven’t seen! Illamasqua put their new Theatre of the Nameless collection up today here, on their site! 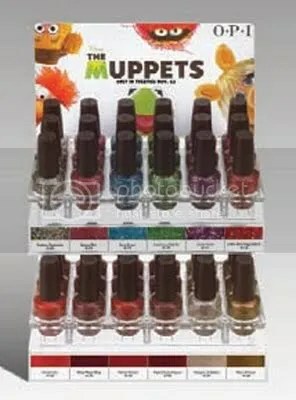 There are 4 nail polishes in this new collection and they have a rubber, waxy finish. The colors look decadent too. I already bought 3 of them (all but Kink), I couldn’t help myself, I just couldn’t. I also grabbed their new Masquara (the brush looks like what I usually like?) and another Base Coat. If you haven’t tried the Illamasqua Base Coat, you can get that at Sephora more easily and I have never had such a strong opinion about a base coat… it keeps my nails from staining, even with my super dark polishes, and it doesn’t let layers of my nail start to separate and peel. 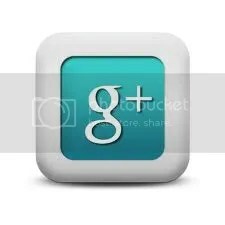 I just love the stuff. 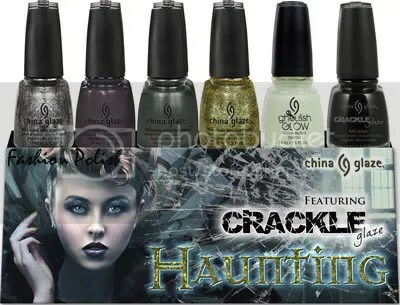 This entry was posted in general polish yumminess, swatches, YAY! and tagged base coat, fall, illamasqua, nail polish, news on September 2, 2011 by hollyshimmerspark. 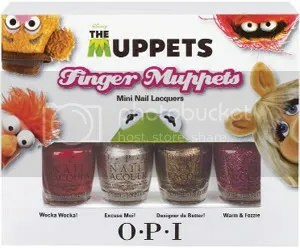 I just heard about these coming out for the Holidays! They will also have little sets and display sets you can get, I’ll post these pictures too since they might be a better close-up than the one above! 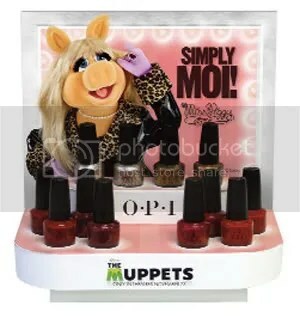 Since I love the Muppets so much I might have to get one of the displays! Eeeek! This entry was posted in general polish yumminess, YAY! 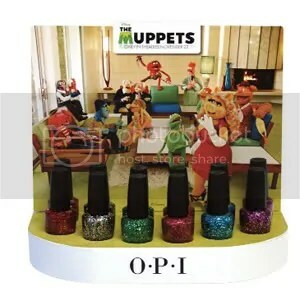 and tagged glitters, muppets, nail polish, news, opi on May 20, 2011 by hollyshimmerspark.